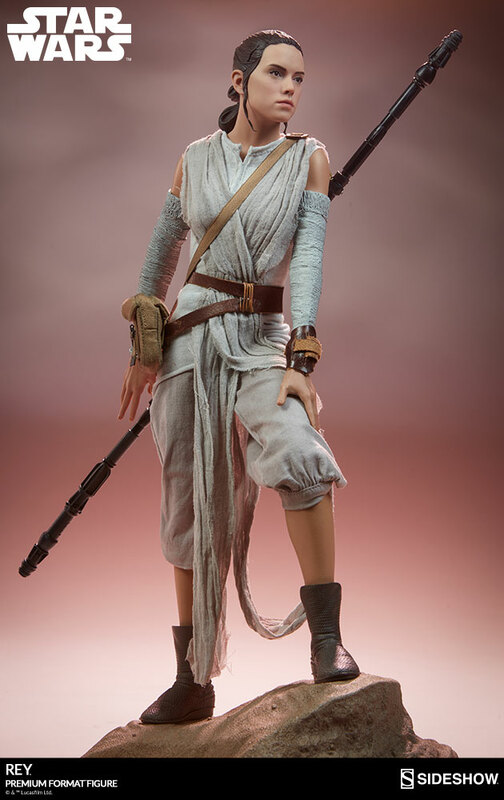 There has been an awakening- have you felt it? 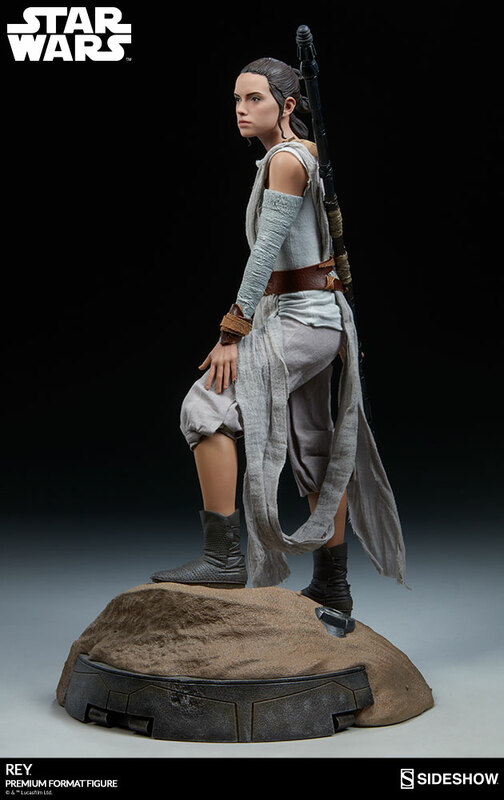 Sideshow is proud to present the Star Wars collectible Rey Premium Format™ Figure, from the groundbreaking Star Wars: The Force Awakens. 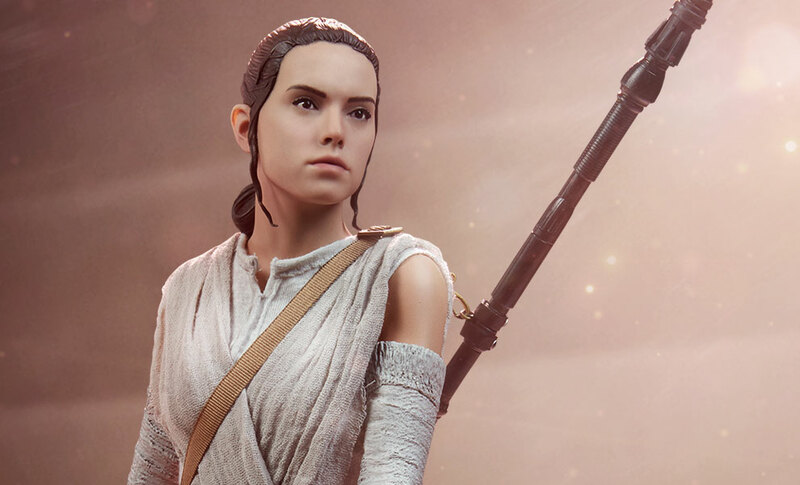 Rey’s introduction marked a new chapter in the epic Star Wars saga, introducing the world to a new heroine that has become a favorite of fans new and old. 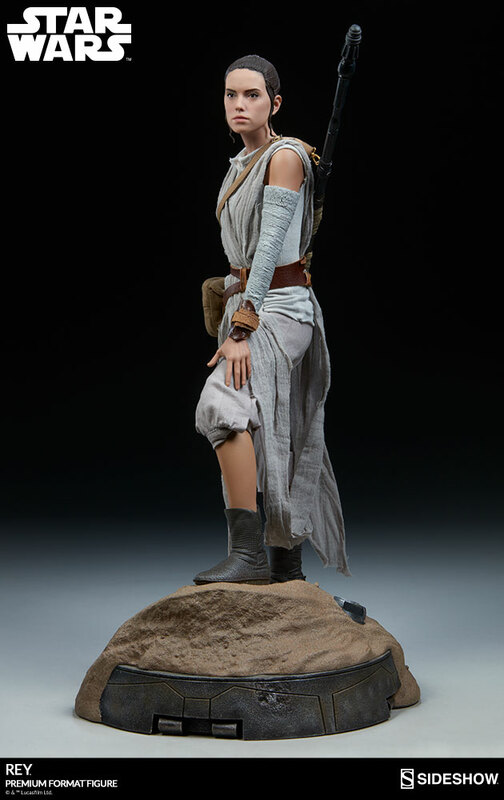 Separated from her family as a child, she lives a solitary existence on the desert planet of Jakku. 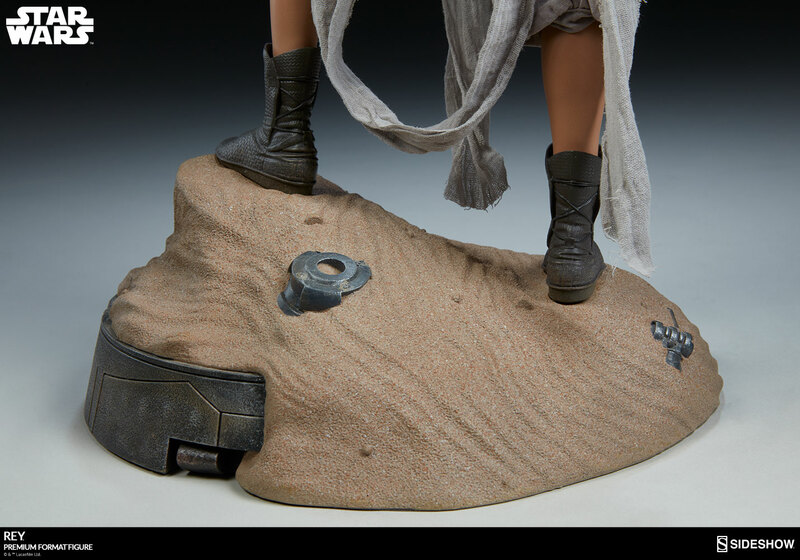 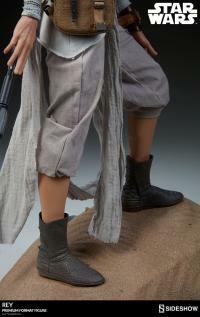 Rey stands 20” tall atop a sandy base with mechanical elements that capture the history of a fallen Empire that surrounds her barren wasteland home. 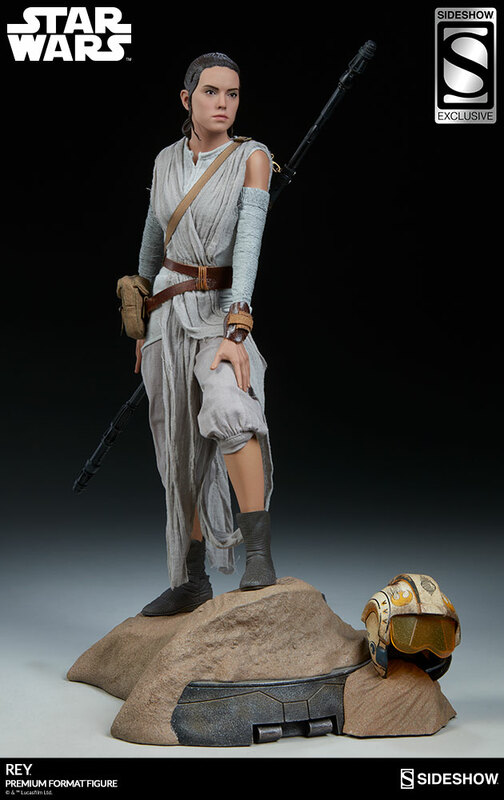 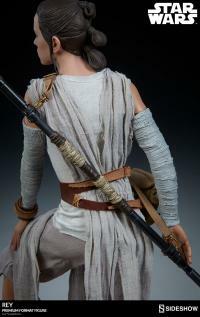 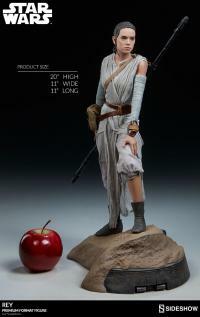 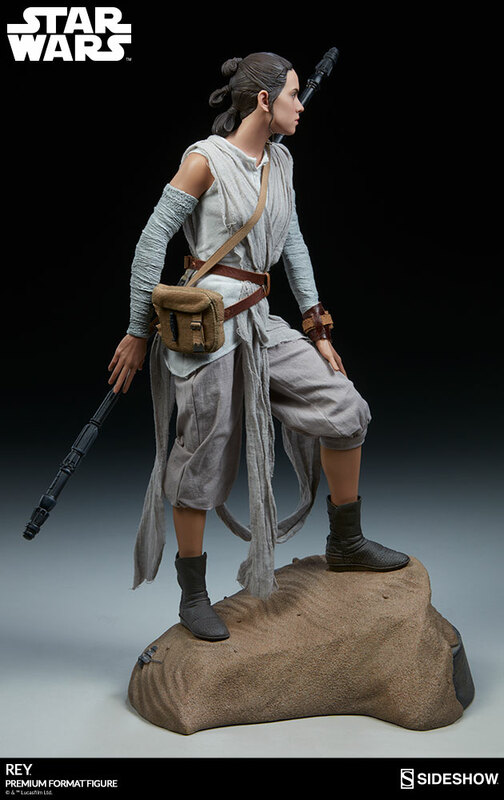 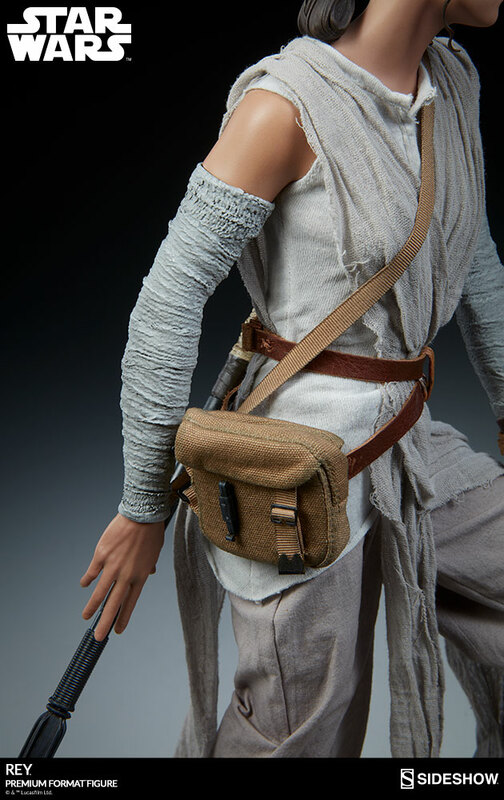 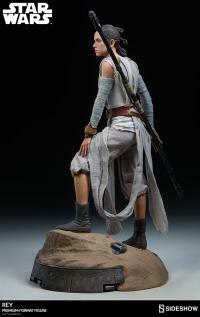 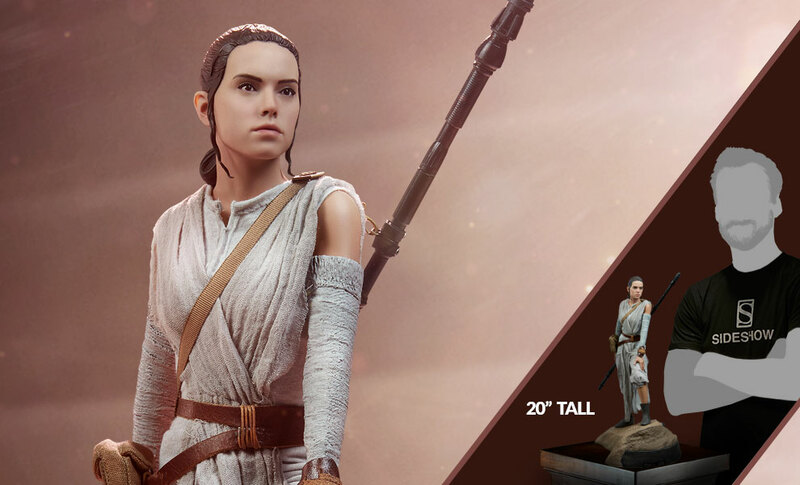 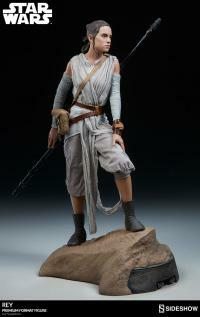 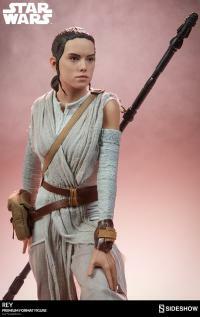 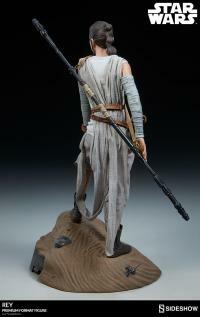 The figure has a beautiful and incredibly accurate portrait based on actress Daisy Ridley’s powerful performance as Rey, capturing the character in a moment of determination and longing for an adventure in the galaxy beyond. 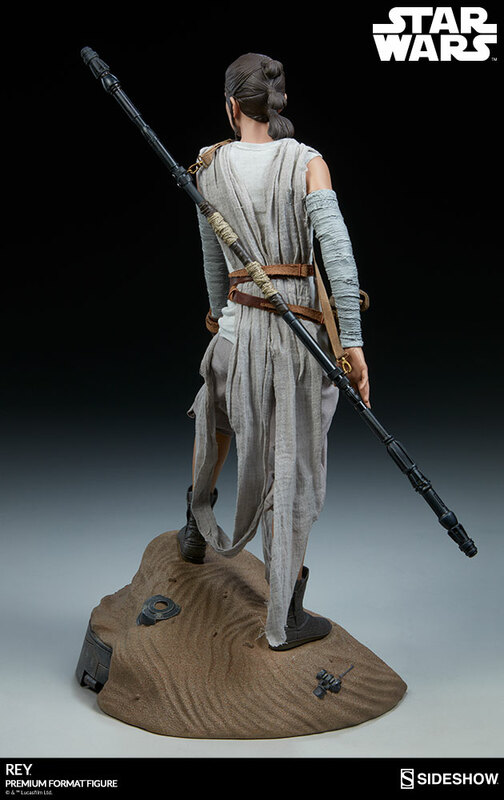 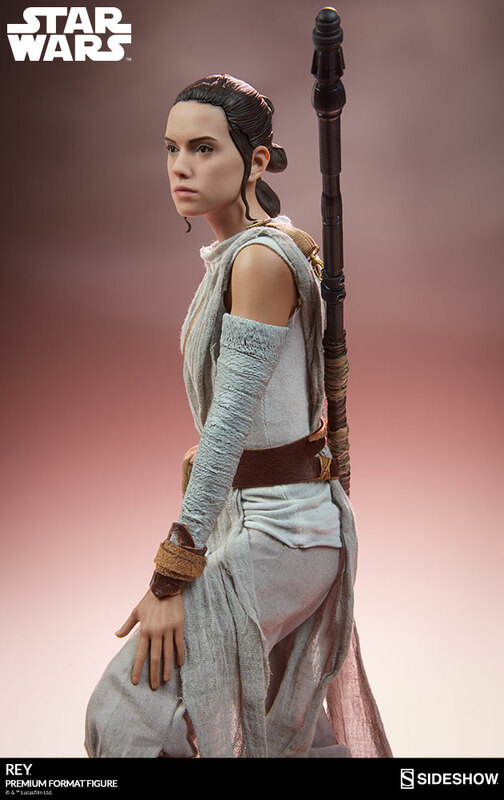 The Rey Premium Format™ Figure is a polystone statue, with exceptions for her PVC portrait and hands, as well as her trusty staff. 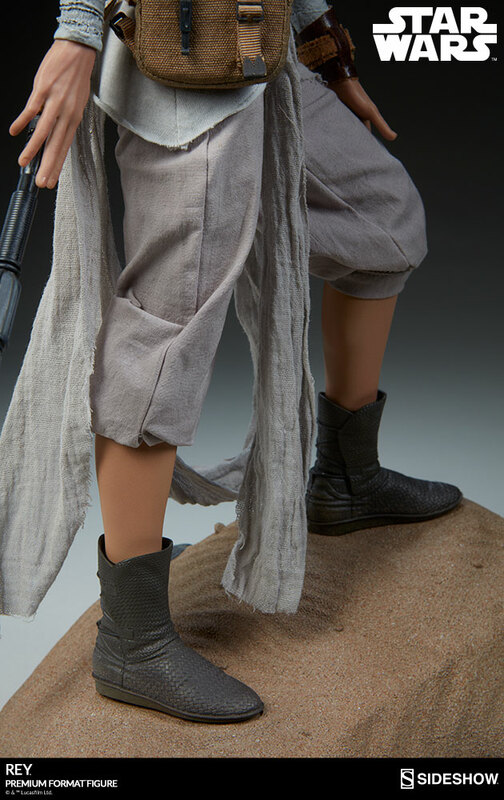 Her hair is carefully sculpted into her now-iconic style, creating Rey’s heroic silhouette as she stares out over the sands of Jakku. 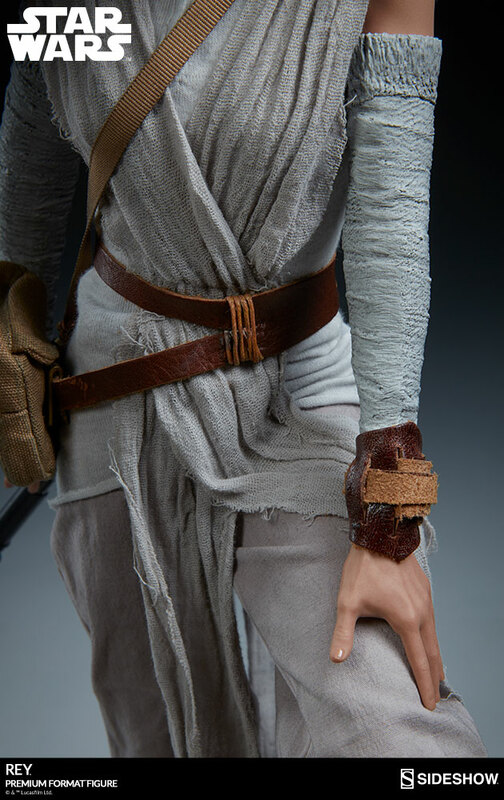 Incorporating mixed media, she has an expertly tailored fabric costume with leather elements for her belt, left arm cuff, and staff strap. 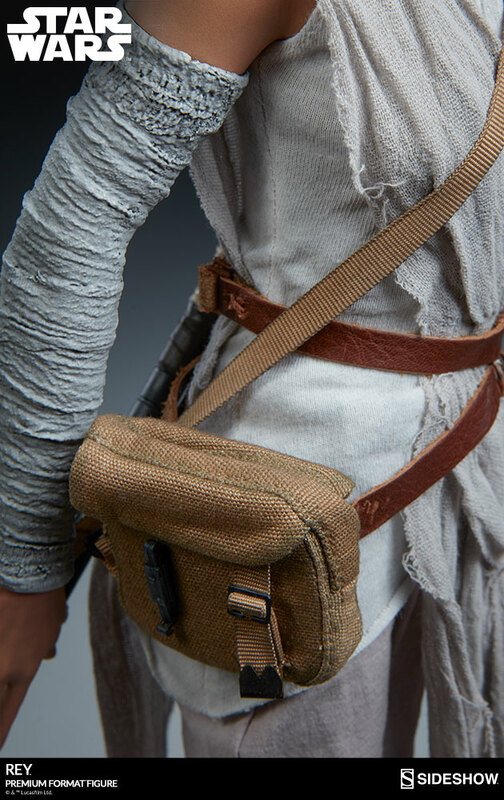 Our artists have taken great care to recreate Rey’s costume with the utmost accuracy, bringing her signature style from a galaxy far, far away to your collection. 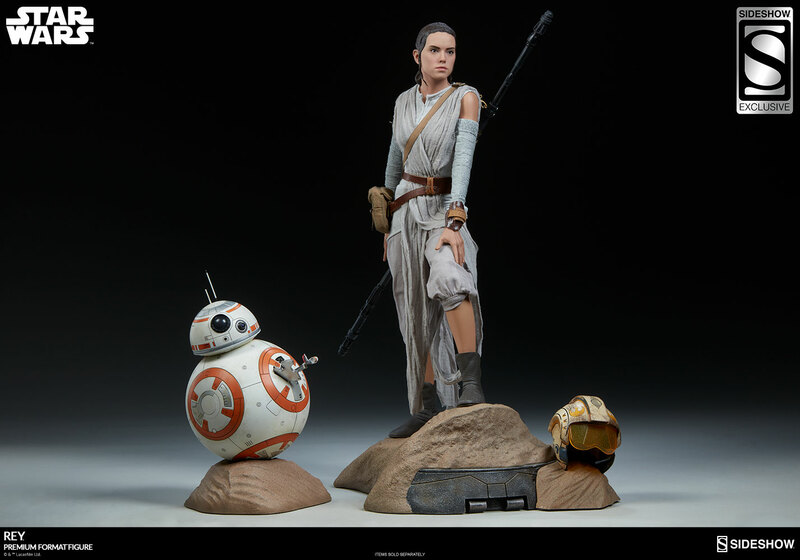 Display her as a lone scavenger, or pair her with the BB-8 Premium Format™ Figure for a stunning centerpiece to any Star Wars arrangement. 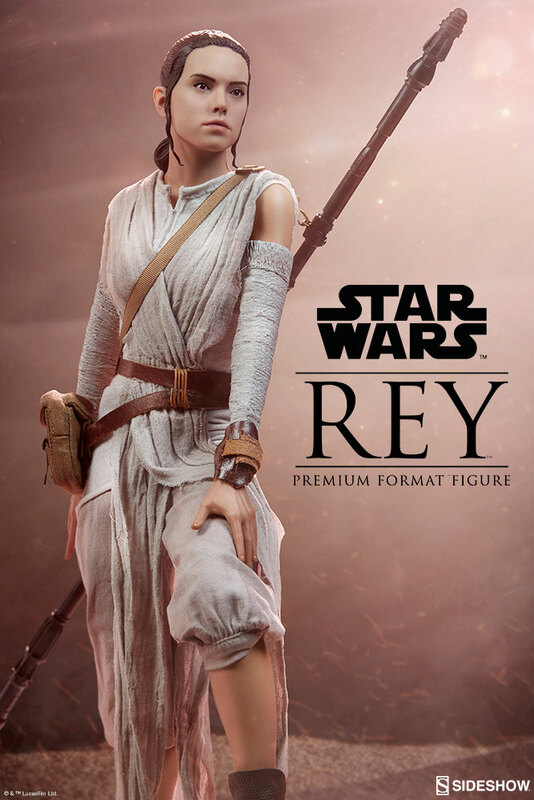 Order the Rey Premium Format™ Figure and awaken the Force in your collection today! 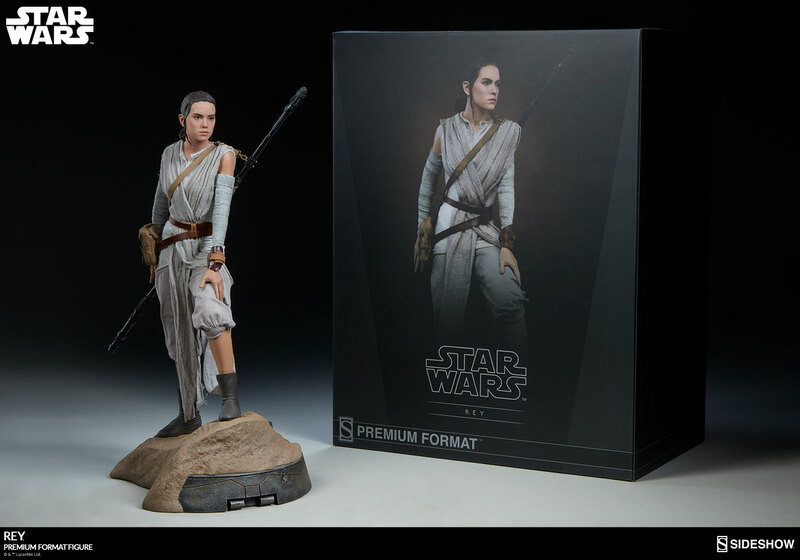 The Exclusive edition of the Rey Premium Format™ Figure includes her Rebel X-Wing pilot's helmet, a relic she salvaged from the wreckage of Jakku. 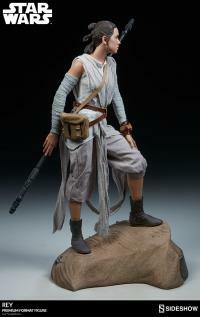 The helmet sits on a curved proximity base with accompanying sandy detail, perfect for displaying alongside Rey's base. Please note it cannot be worn by the figure. Pay as little as $144.00/mo. When I ordered this, I wasn't expecting it to be so pretty and magnificently detailed. 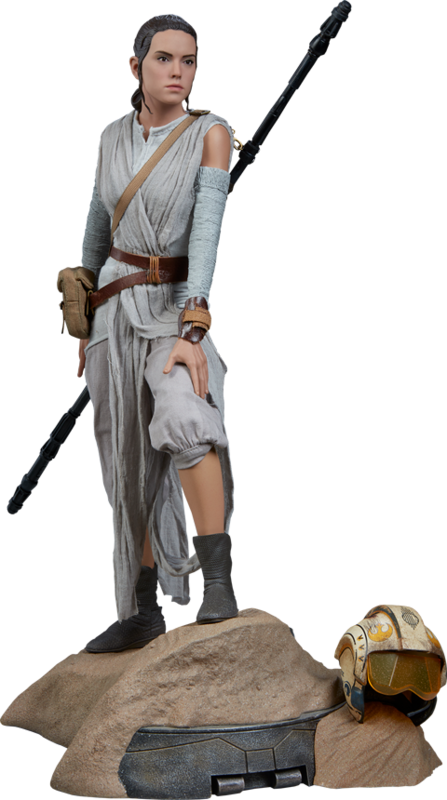 It's like she's looking at me! 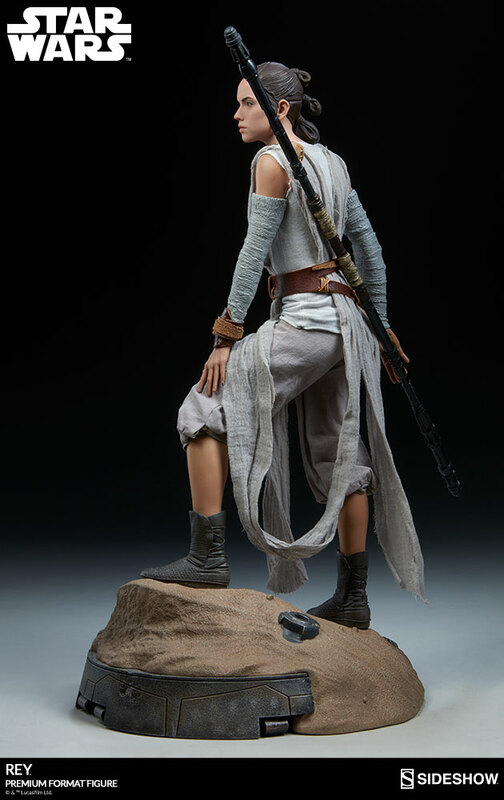 Rey from Jakku is my first Sideshow Collectible and it definitely will not be the last. 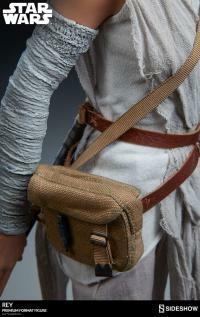 Kudos to all artists and designers! 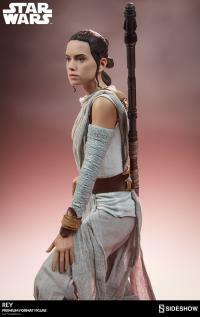 Love her so much! 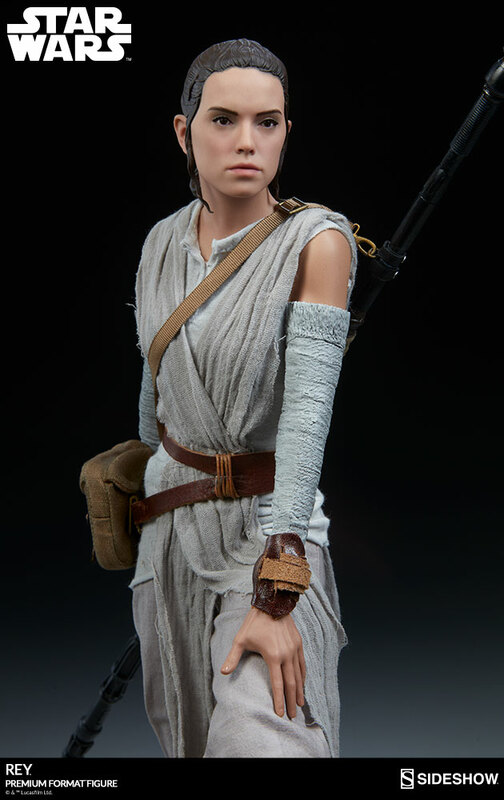 this figure was my first purchase from Sideshow ever. 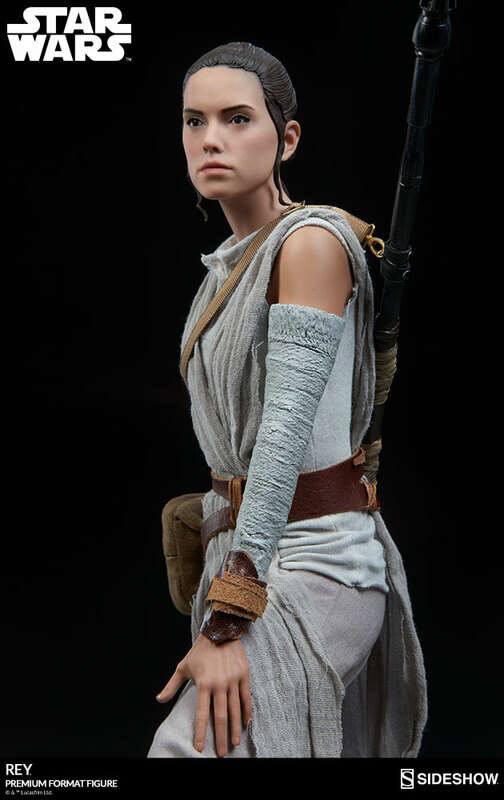 I was so nervous because at local geek/comic shops the figures were so poorly made or painted. 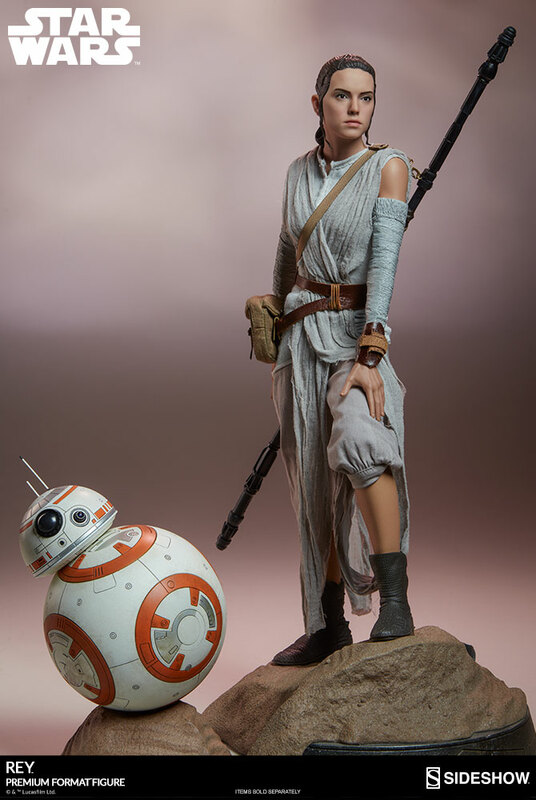 now Rey stands in all her glory with BB-8 looking every bit as stunning as the films. 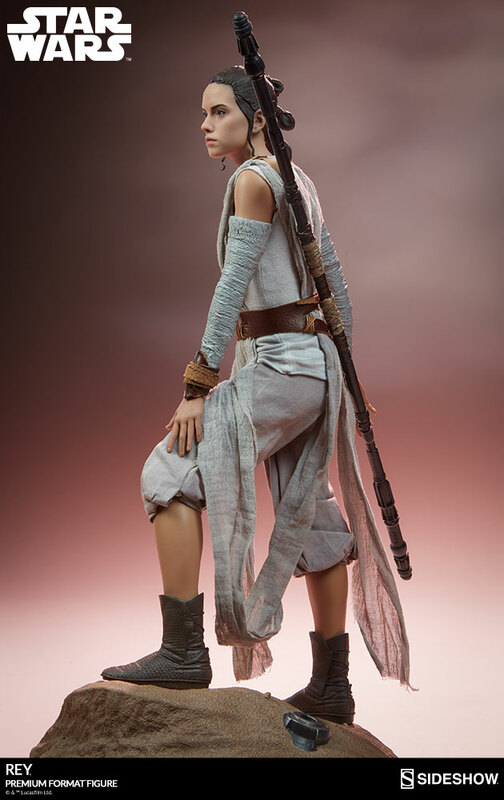 excellent work Sideshow, excellent work! 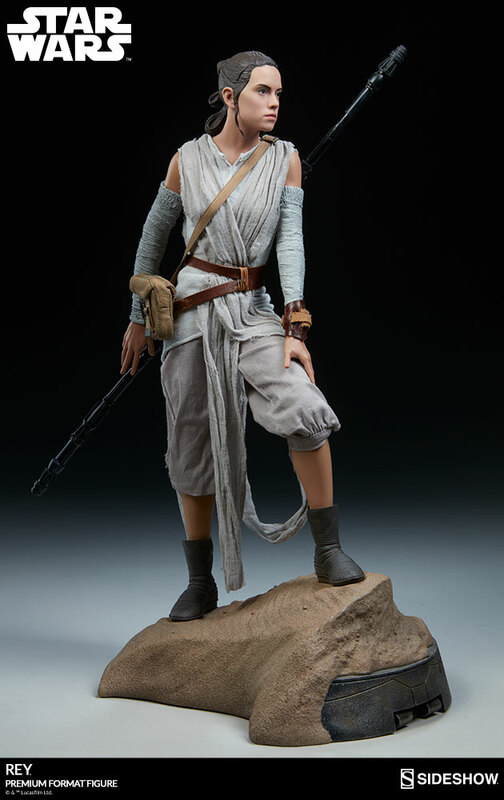 This statue is really awesome in person. 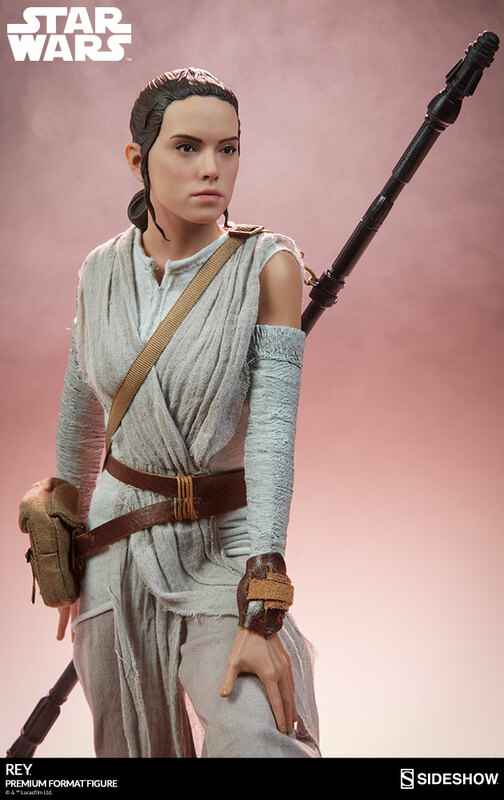 Looks like having Daisy Ridley in Your livingroom. 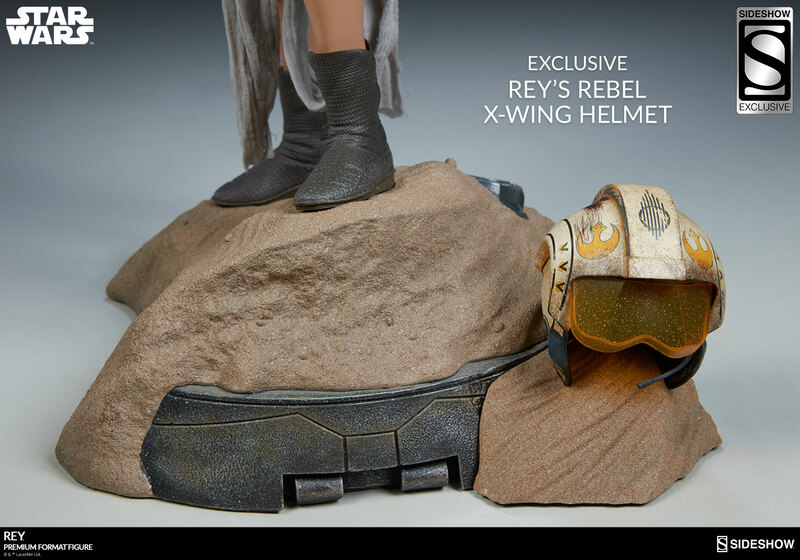 I got the Exclusive version and the extra helmet is astonishing, even the internal padding has been reporduced.